Pakistan may view a weak and destabilised Afghanistan as preferable to a strong and unified one, according to a Congressional report which also highlights India's lack of desire to pursue a deeper defence cooperation with Kabul. The report "Afghanistan: Background and US Policy in Brief" prepared by the Congressional Research Service (CRS) comes amidst intensification of efforts by the Trump administration to hold peace talks with the Taliban by seeking help of Pakistan. US special envoy to Afghanistan Zalmay Khalilzad Thursday held talks with Pakistan's Foreign Secretary in Islamabad after extensive discussions in Kabul as part of his efforts to arrange the first-ever direct talks between the Taliban and the Afghan government. Khalilzad arrived in Pakistan to seek Islamabad's help to convince the Taliban to return to the negotiating table to end the 17-year-long Afghan war. "Pakistan may view a weak and destabilised Afghanistan as preferable to a strong, unified Afghan state (particularly one led by a Pashtun-dominated government in Kabul; Pakistan has a large Pashtun minority)," the CRS said in its report for lawmakers on Thursday. However, it said that at least some Pakistani leaders had stated that instability in Afghanistan could rebound to Pakistan's detriment; Pakistan has struggled with indigenous Islamist militants of its own. 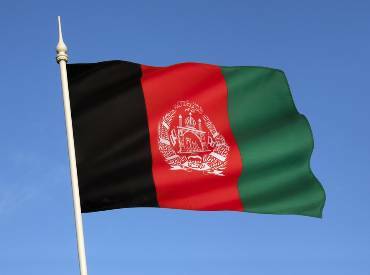 "Afghanistan-Pakistan relations are further complicated by the large Afghan refugee population in Pakistan and a long-standing border dispute over which violence has broken out on several occasions," said the report. "Pakistan sees Afghanistan as potentially providing strategic depth against India, but may also anticipate that improved relations with Afghanistan's leadership could limit India's influence in Afghanistan," said the report, a copy of which was made available to PTI. India's interest in Afghanistan stems largely from India's broader regional rivalry with Pakistan, which impedes Indian efforts to establish stronger and more direct commercial and political relations with Central Asia, it said. The report said that India has been the largest regional contributor to Afghan reconstruction, but New Delhi has not shown an inclination to pursue a deeper defece relationship with Kabul. The Afghans themselves appear divided on the wisdom of cultivating stronger ties with India, it observed. The report concludes Congress could also seek to help shape the US approach to potential negotiations around amending the Constitution or otherwise altering the highly centralised Afghan political system, through legislation and public statements. The core issues for Congress include its role in authorising, appropriating funds for, and overseeing US military activities, aid and regional policy implementation, it said. Members of Congress may also examine how the US can leverage its assets, influence and experience in Afghanistan, as well as those of Afghanistan's neighbours and international organisations to encourage more equal, inclusive and effective governance, the report said. The CRS is an independent and bipartisan research wing of the US Congress. It prepares reports on various issues of relevance for the US lawmakers to make informative decision. These are not official views of the US Congress.